"We're here to find out if there's an innocent explanation." "There is no innocent explanation." HBO has debuted an official teaser trailer for the HBO Original Film titled The Wizard of Lies, telling the story of stockbroker Bernie Madoff and his Ponzi scheme which got him arrested back in 2008. Made by director Barry Levinson, the film stars Robert De Niro as Bernie Madoff, with Michelle Pfeiffer as his wife Ruth, examining how Madoff kept his tricks a big secret from even his own family. Also starring Hank Azaria, Kristen Connolly, Lily Rabe, Alessandro Nivola, Kelly AuCoin, Nathan Darrow, and Kathrine Narducci. This is an intense teaser trailer, definitely designed to get your attention. I'm curious about this. In 2008, stockbroker, investment advisor, and financier Bernie Madoff made headlines around the world when he was arrested for perpetrating perhaps the largest financial fraud in U.S. history. 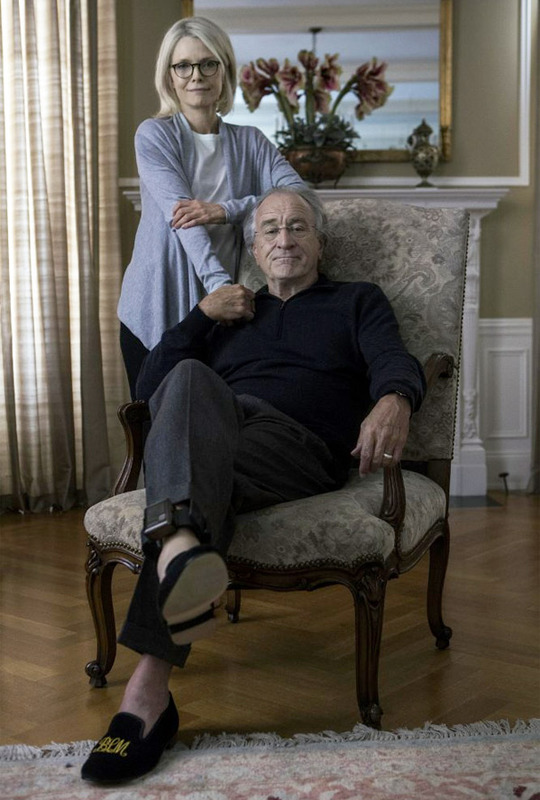 HBO Films' The Wizard of Lies examines Bernie Madoff's Ponzi scheme -- his deception, lies, and cover-up, all as the financier's wife and sons are catapulted into a harsh and unrelenting spotlight. The Wizard of Lies is directed by veteran American filmmaker Barry Levinson, of The Natural, Rain Man, Toys, Sleepers, Wag the Dog, Sphere, Bandits, Man of the Year, The Bay, The Humbling, and Rock the Kasbah previously. The screenplay is by Sam Levinson, Samuel Baum and John Burnham Schwartz; adapted from Diana Henriques' book. HBO will premiere The Wizard of Lies streaming starting May 20th this summer. Thoughts on this?